Dickies are a brand that have been going since 1918 and have lived through every decade that is notable with clothing so you know that they know how to make a good leather belt that is built to last. 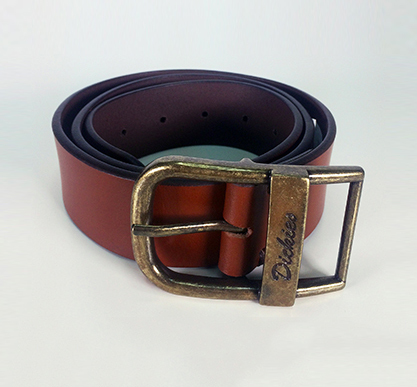 The belt is made from 100% cowhide leather and features a metal buckle with a Dickies logo and six holes so you are still safe after a good feed. A well made traditional leather belt that looks great in tan.